In search of Christian community: What happened to our life together? This is not what I had in mind. When I became a Christian, I though that I joined a family, that we all loved each other. Have you ever tried to get all the Christians in a room? I thought we were a body. But, not just any body– Christ’s. Far from his truth, we talk as if reconciliation is the hardest part of the Christian life. I beg to differ. Coming to terms with who we are is the real “come to Jesus meeting.” Two enter, one leaves. “He must increase, but I must decrease” (John 3.30). Still, there doesn’t seem to be much room for Jesus or his cross. Sunday services become pageants and the building is another money- making machine. I can’t wave and smile while being crushed. Tonight, I am questioning Christian community. Surely, this is not what Jesus had in mind. Christ did not die for our divisions. While each ministry context is different, with its own interests and challenges, our goal as believers is to create authentic community, to emphasize our commonality in Christ. But, we do not create commonality around our cultural traditions, our socially constructed identities and affinity groups. Instead, we create community around the body of Christ. For Bonhoeffer, membership and belonging are found in Christ. And there is no Christian community apart from him. His body is what brings us together. There are no cultural middle-persons, no priestly barterers that can provide or prevent passage into Christ’s presence. While multicultural/ intercultural churches are not the norm, it should be expected that persons from all walks of life can and do walk through the doors of the church. And if they don’t, why not? I thought that we were a Christian community. When did we stop going from house to house? Why don’t we share all things in common? What happened to our life together? The early Church shared all things in common; but, the Church in North America remains stingy and divided, only willing to see our differences (Acts 2.44). One community: in Christ. One confession: “One Lord, one faith, one baptism” (Ephesians 4.5). Still, the divisions seem to intensify as the Bible is politicized and the people we have been called to serve are increasingly demonized. 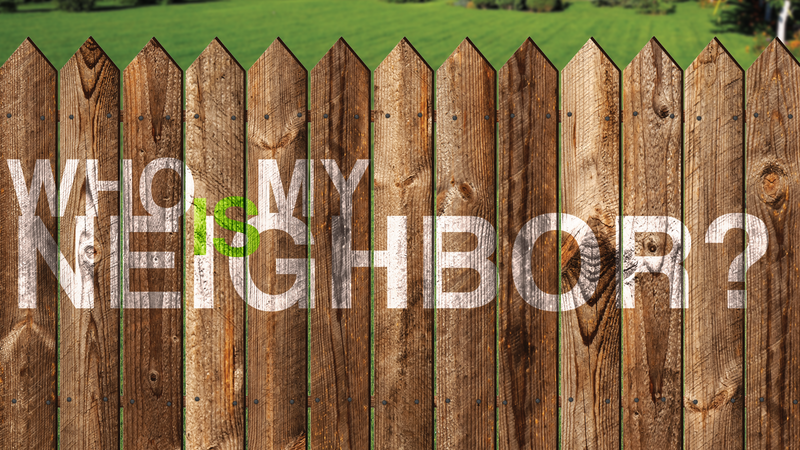 Questions like “What would Jesus do?” and “Who is my neighbor?” are harder to answer without starting an argument. While Jesus’ story and subsequent record are clear, our explanations often are not. It’s complicated by a national narrative that continues to keep its citizens in conflict. But, living as Christ did and calls his disciples to doesn’t just lead us to church on Sunday mornings. Instead, he leads us into places and among people we are called to love but whom the current administration of American government and its leaders prejudice as dangerous and a threat, who argue that their presence attacks and eats away at the very fabric of American life. But, things seem to be unraveling. It feels that we are hanging on by a thread and on the verge of chaos. Chaos or community, these were the two options offered by civil rights leader and preacher, the Rev. Martin Luther King, Jr. As the nations rage and the kingdoms totter, every tribe is for themselves. Moving farther apart, we know the answer to the questions. We know what Jesus would do because of what Jesus has done. And in a nation that prides itself on individualism and independence, we know how to love ourselves if no one else. The problem lies in seeing our neighbor as ourselves. Because this would require the acceptance that we are all neighbors, all tenants and not the owners of the earth we pretend to be. American society would have us believe that we can do everything alone or that we need only “me and you three.” It tells us that if we have money, then we have the means. The gospel of capitalism says, “Money talks.” What more need be said then? Just show me the money. But, so much has been said and done since then. Look at who we’ve become. We have gone too far it seems. It is hard to believe that we could ever get back to the beginning. Still, Jesus says, “Follow me.” However, his footsteps strangely mimic our own. Not surprisingly then, we arrive in places for which we have an itinerary, an activity schedule and a travel bag, places of comfort and ease, places ironically for only me and you three. Instead, his steps should lead us back to each other. Lord, give us ears to hear what the Spirit of the Lord is saying and eyes to see that Christianity is not a global organization based in America with international offices. Missionaries are not mere representatives, seeking to mold souls to meet quota. No, this is Christianity commercialized. It is another gospel that works with our coupons and holidays. But, this is not what Jesus came to earth for and certainly not what we are called to live into. He did not come to earth and live among us so that we could continue to live apart. While each of us has a personal relationship with God, God did not make side deals with each culture. No, the promise is the same for us all: “One Lord, one faith, one baptism” (Ephesians 4.5). God creates us whole. We divide each other up into fractions. We take sides and become factions. Let us come together—not just on Sunday mornings but in body. Only a few of the letters of the New Testament were written to individuals and for good reason. Because we are called to community from the Communal God: Father, Son and Spirit. Let us read God’s word together. Let us sing God’s praises together. Let us pray God’s promises together. Let us care for God’s people together. Let us share in the fellowship of God’s Spirit, one holy community together.